LET’S SAVE THE PLANET, yes! I really started to live a more conscious life and want to share my tips with all of you. I hope you are also aware that our planet earth has a very hard time with us humans destroying it every day. Let’s be more aware and conscious. Whenever I say something in that regard I often get the question: But, what can I do? Well, there is a lot that everyone of us can do. In that blogpost I wanna raise awareness of producing less trash and using less plastic containers. 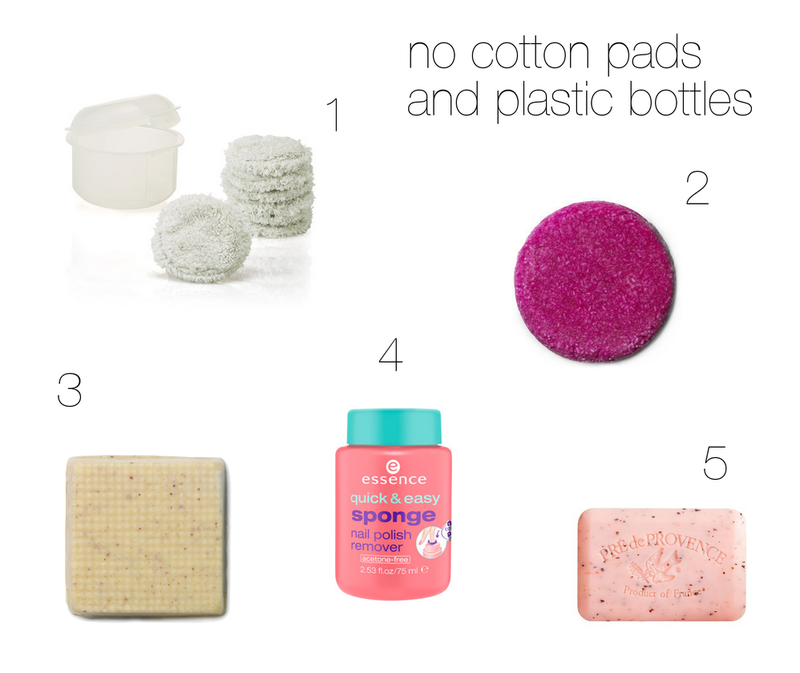 I use the ESSENCE sponge nail polish remover to remove nailpolish. It works great. There are so many advantages. Firstly you dont need any cotton pads, secondly your trash is not going to stink because you are not producing any trash at all. An other advantage is that it works super fast. These soaps last very long and are awesome for travelling as they dont leak. I have found some great alternatives at ALNATURA. If you buy many at once you can store them in your closet or drawers to make your clothes smell nice. I use solid shampoos and conditioner in order to reduce plastic. And I absolutely love the solid LUSH shampoos. My favorite one is JASON AND THE ARGAN OIL. I m still searching for a great solid conditioner. I didnt like the ones from LUSH and really gave them many tries. So in case you can recommend a great solid conditioner please let all of us know by sharing it in the comments below. Make your own scrubs. I use coffee, sea salt and fresh vanilla. It makes a great scrub with many benefits for your skin. By recycling coffee and only using vanilla and sea salt/ regular salt makes it a very affordable scrub. I love to put my scrub in a mason jar and store it in my shower. I use it twice a week and my skin feels awesome! A separate blogpost on how to make your DIY scrubs will follow soon.